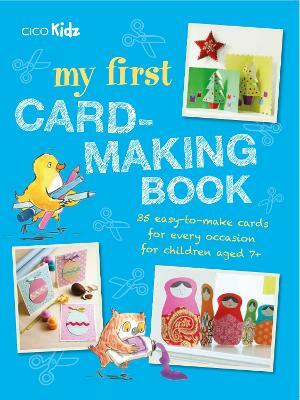 Whatever the occasion, you'll find the right card to make in My First Card-Making Book. In Chapter 1, Everyday Cards, there are lovely ideas such as the felt flower card, patchwork card and button nest card. The cards in Chapter 2, Fun Cards, will help you bring a smile to someone's face with ideas including the finger puppet card and lollipop card. You can make Christmas really special with the creative cards in Chapter 3, Festive Cards, including the cut-out bauble card, cosy fur-trimmed cards and cute and easy colour-in Christmas card. Finally, in Chapter 4, Special Occasions, you'll find celebratory cards to mark special occasions such as getting married or having a baby, as well as Easter and Valentine's Day cards. Each of the projects is broken down into simple illustrated steps and has a skill rating, starting with very easy and progressing as you become more experienced at card-making. Get started now, and make someone's day with a home-made card, crafted with love.